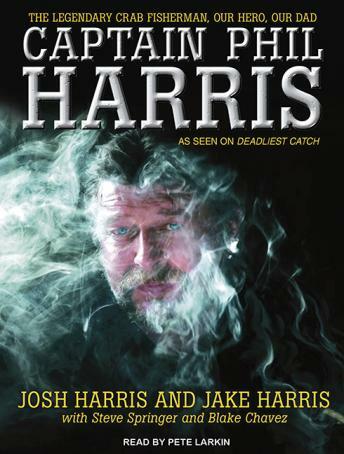 Prior to his untimely death in 2010, Captain Phil Harris was a star of Discovery Channel's Deadliest Catch, the hit show that follows the exhilarating lives of Alaskan crab fishermen as they brave the vicious Bering Sea. He led his crew through hurricane-force winds and four-story-high waves, hauling in millions of pounds of crab and raking in millions of dollars. Phil worked hard, but he played even harder. His life on shore-from his rebellious days to his tempestuous marriages, from his addictive habits to his fundamental American success story-could serve as a reality show in itself. He lived his life at Mach speed: the blitz of crab season, the six-figure paydays, the thunderous motorcycles, and the drug-fueled parties. High-speed chases and all-night blackjack binges were par for the course. But as wild as Phil could be, he was always openhearted and infectiously friendly. He was a devoted friend, a loving father, a steadfast captain, and a hero to audiences across America and around the world. His death in 2010, the result of stroke and heart failure at the age of fifty-three, left a hole in the hearts of millions. In this exclusive authorized biography, Phil's two surviving sons, Josh and Jake Harris, team up with bestselling author Steve Springer and coauthor Blake Chavez to share the thrilling story of Phil's remarkable life.